When first meeting Scott Lang, your first impression is that he's kind of a loser. He seems like a dead beat dad who has been locked up with not a whole lot to offer. But, Scott redeems himself! Scott becomes a heroic superhero who is also a super dad. Helping out Hank Pym was the smartest thing that Scott has ever done. 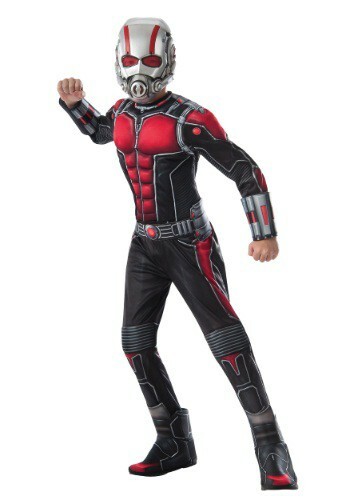 We're sure that you'll have a blast running around in this Child Deluxe Ant-Man Costume. You won't shrink to the size of an ant, but you can pretend. Who knows, maybe you will even find your very own 'Anttony' to train! ?